There is new Microsoft Office Mobile APK 15.0.5430.2000 that can be used to open, read, and edit the documents on your Android mobile phone. You will not only be able to open Microsoft Office Word, but also Microsoft Office Power Point and Excel as well. However, the application on Android does not support OneNote documents. This application gives the users easier way since its Office application is designed for working. It is also supported by easy access. Any changes you make after accessing this Office application will be synchronized and saved. In Open tab, you can find the storage spaces which are listed neatly. You can also get quick access to the content that you use frequently by adding individual folders. There is also Recent tab that allows you to load the documents you are working which is organized by date. You can read the documents effectively using Pinch to Zoom which allows you to get closer into big size. Office mobile will view your documents clearly. If you want to find particular word quickly you can use Search option. 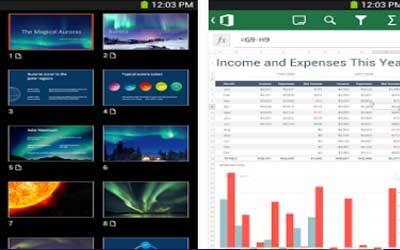 You can also view Power Point and Excel documents easily by using this application. Even though you are allowed to edit your documents using Android phone with this Office Mobile, you need to know that the editing is very limited. You can only use basic formatting to edit Word documents such as editing the text color and size, applying italic, bold, and underline, or highlighting the texts. This is applied similarly for editing Excel documents. Other than basic formatting available in Excel documents there are some additional editing such as Auto sum, creating basic charts, and Undo/Redo function. This application is also supported by Share Point or Skydrive to share the documents. Microsoft Office Mobile for Android allows the user to add comment to documents as well. Try the new Word, Excel, and PowerPoint apps! Now available for Android tablets and phones in the Google Play store.